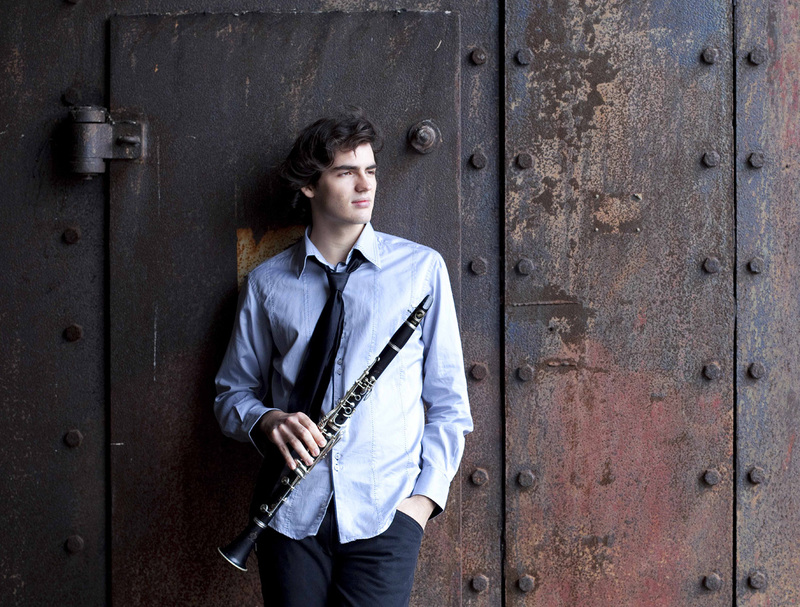 KCS has selected French Clarinettist Raphaël Sévère to receive the 2014 Korean Concert Society Prize. He will perform a debut recital at the Kennedy Center in the 2014-15 season. Sévère won the 2013 Young Concert Artists audition and a jury of KCS board members selected him from among the other YCA winners for the special prize. The date of his performance will be announced later this year. Discovered by the general public at the age of 12 on the radio (France Musique), Raphaël Sévère currently ranks as one of the most brilliant representatives of the French school of clarinet. Raphaël Sévère received a very early musical education: the piano, the violin and the cello. Aged 8, he took up the clarinet at the Conservatoire of Nantes while continuing studying the piano. A 14, he was admitted to the Conservatoire National Supérieur de Musique of Paris with unanimous acclaim from the jury. He obtained in June 2013 the master’s degree with high honors. Raphaël made his international debut very early. At 11, he gave his first soloist concert in China the day of the 250th anniversary of Mozart’s birthday when he played Mozart’s clarinet concerto under the baton of YU Feng, the artistic director of the Beijing Opera Orchestra. At 12 he was a prize winner of five international competitions including the Tokyo International Competition where he won the first prize and the four special prizes (age-group 20). At 15, he was the youngest artist ever nominated “Revelation instrumental soloist” at the Victoires de la Musique 2010 (French TV Classical Music Awards). At 19, he received an international recognition by winning 1st Prize and eight special prizes at the prestigious Young Concert Artists International Auditions 2013 in New York. Raphaël Sévère has performed in various concert halls, the Auditorium de Radio France, the Cité des Congrès in Nantes, the Corum in Montpellier, the Palais de la Musique in Strasburg, the Arsenal in Metz, Monforthaus de Feldkirch, the Atheneum in Bucharest, the Cultural Center in Macao, the City Hall in Hong Kong and the International Forum in Tokyo and Niigata. He has been invited to play as a soloist with many French orchestras (of Brittany, Picardy, Tours Central Region, Ile de France, Cannes PACA, Nice, Mulhouse, Strasbourg, Garde Républicaine), and internationally with the Russian National Philharmonic Orchestra, Budapest Chamber Orchestra, Württemberg Chamber Orchestra, Hong Kong Wind Kamerata. In the field of chamber music Raphaël has worked with Adam Laloum, Jérôme Ducros, Jean-Frédéric Neuburger, Igor Tchetuev, Isabelle Moretti, Nora Gubisch, Philippe Bernold, Deborah et Sarah Nemtanu, Olivier Charlier, Gérard Caussé, Henri Demarquette, Jérôme Pernoo, Xavier Philips, François Salque, Trio Les Esprits, Quartets Prazák, Sine Nomine, Ebène, Modigliani. His first CD “Recital of French music” recorded live at the age of 12 has been rewarded by Diapason (4 stars), Classic Info Disque (revelation), Classica Repertoire (discovery). His second CD “Opus 2” has been rewarded 5 stars.